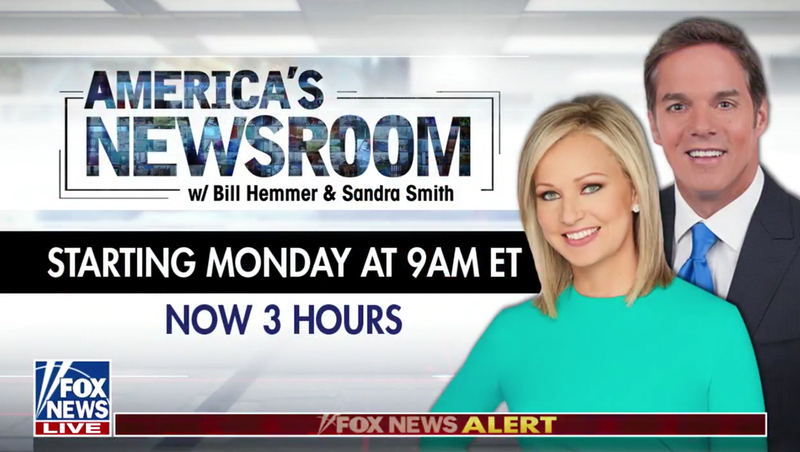 Fox News‘ late morning programming block “America’s Newsroom” is moving into a new home in Studio J Monday — but that’s not all — it’s also expanding to three hours and getting a new logo. Along with moving into the new set in Studio J, the show is dropping the 3D Helvetica-ish logotype in favor of a more condensed look that has a monitor wall-like texture and adds thin corner and border accents. 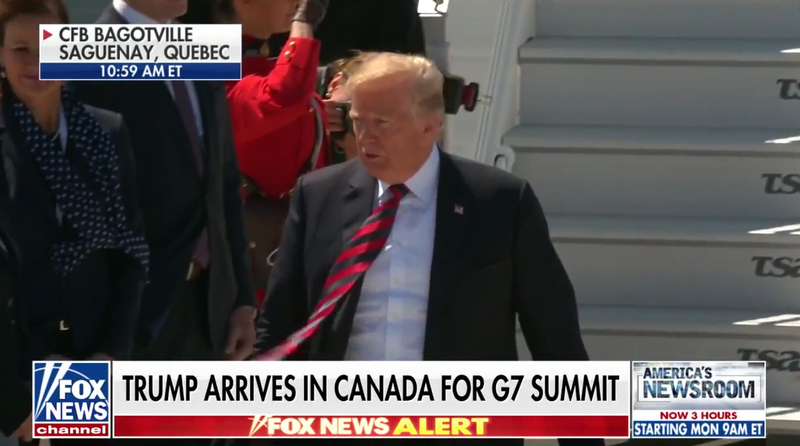 In addition, hosts Bill Hemmer and Sandra Smith’s names appear under the show name. The show will run from 9 a.m. to noon eastern from Studio J, which Sean Hannity’s “Hannity” began using Monday, June 4, 2018. The third hour of “America’s Newsroom” will replace “Happening Now,” and will also affect “Outnumbered” because Smith, who also hosted that show, left it Friday to work on “America’s Newsroom” all three hours. 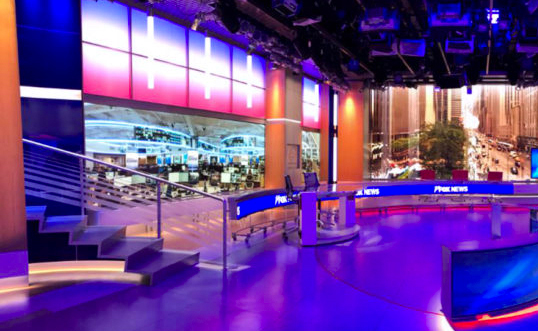 During the final block of “Outnumbered” Friday, Smith said farewell to co-host Harris Faulkner and gave viewers a sneak peek at “one corner” of the new set. Fox also used the lower right promo box throughout “America’s Newsroom” and “Outnumbered” to promote the former’s expansion and new look.